John G.H. 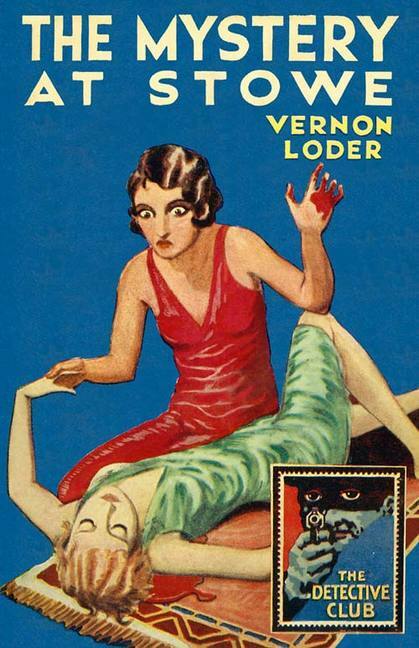 Vehey was a writer from Belfast, Ireland, who mass-produced crime-fiction during a relatively short period of time, from the late 1920s until his death in 1938, which was done under half-a-dozen different pennames, such as "Henrietta Clandon," "Anthony Lang" and "John Mowbray," but he was at his most prolific as "Vernon Loder" – a name that was plastered across the covers of more than twenty of his novels. Loder is largely forgotten by the readers of today. Only a handful of genre historians, scholars and collectors, like John Norris and Curt Evans, were aware of his existence, but the genre’s renaissance era continues to bring back even the most obscure names and titles back into circulation. Recently, the resuscitated Detective Club, which is an imprint of HarperCollins, reissued a number of classic crime novels and Loder was one of the writers who were dragged from the bowels of obscurity. The Mystery at Stowe (1928) takes place during one of those weekend parties that were all the rage in detective stories from the early twentieth century. The large manor-house were the party is gathered is called Stowe House and the property is in the hands of a good-natured host, Mr. Barley, who never enjoyed a good education or belonged to the upper-layers of the social strata, but he loved society and cultivating his behavior enabled him "to fill his house with decent people of the upper-middle classes" – basically people who were not bothered or shown "open scorn for the humble upbringing of their host." One of them is a well-known explorer and lecturer, Elaine Gurdon. Elaine Gurdon is known as "the heroine of an expedition into the wilds of Patagonia" and "an enterprise which had penetrated the Chaco," but, regardless of her fame, she still has to go around with a begging bowl to finance her next trip into uncharted territory. Luckily, one of the other guests, Edward Tollard, is a good-looking junior partner in a banking firm and he's willing to finance Gurdon's trip. However, this does not go over particular well with his wife, Margery, who fears the professional relationship might be a cover for a personal one – which is an opinion shared by two fellow guests, Mrs. Gailey and Miss Sayers, who regard the adventuress "as a poacher." So, since this is a 1920s detective story, you can probably guess the outcome of this situation. The body of Margery Tollard is found on the floor of her bedroom. She was discovered in front of an open window and that's an important fact, because the medical examiner plucks "a dark wooden sliver," or "long thorn," from between her shoulder blades. It was taken from a quiver of poisoned darts that was hung alongside a blowpipe in the front hall as decoration. Gurdon brought them into the house and gave a demonstration how to operate, which makes her even more suspect, but the detective of story, Jim Carton, is determined to prove her hands free of both poison and blood. Jim Carton is an old friend of Gurdon and "a bit of a policeman" himself. He served as an Assistant Commissioner in West Africa and philosophizes that "all crimes are much the same," which means they usually follow a familiar set of motives, but poison-smeared thorns are unfamiliar terrain for the English policemen – providing an opportunity to Carton to put his experiences into practice on home soil. It's this background of the poisoned darts, blowpipes and Carton attempting to figure out alternative methods for propelling a venomous sliver of wood that lifts The Mystery at Stowe slightly above your standard fare country-house mystery from the period. Usually, I only come across these kind of detective stories in mystery novels as references, often peppered with scorn and ridicule, but this is only the second example I read that actually played around with poisoned darts and kept a straight face while doing so. Death in the House (1939) by Anthony Berkeley is the other one. Agatha Christie had some fun with blowpipes in Death in the Clouds (1935), but with her tongue firmly planted in her cheek and one of the characters even wrote Edgar Wallace-style sensational thrillers about murders with snake venom. Perhaps the best example of a detective story to employ poison-laced darts is Peter Dickinson's marvelous The Poison Oracle (1974), but that's a different story altogether. Technically speaking, the remodeling of the plot was admirably done, but I found the ending to be depressingly disappointing and the fact that I could see beneath the fresh coat of paint didn’t do the book any favors either. I would not recommend The Mystery at Stowe to be used as bait to lure new readers to the genre, but seasoned mystery readers might want to give it look. You can chalk this poorly written review up to my disappointment over the book. I hope to pick something better for my next read. I thought it was a lot of fun. These days I don't give a damn about the "fair play" aspect of detective fiction. I go with the flow if I'm enjoying the book. If concocted with flair and wit then I'm willing to swallow all sorts of nonsense more than I would if I were reading it in a badly written and dull book. This one has a very fun sense of humor and Carton is a likeable sleuth. I enjoy Holmes but I'm not obsessed with him and can never remember the plots of the bulk of stories other than HOUND OF THE BASKERVILLES. I'd never have known about the story you allude to. Though I've encountered blowpipes and poison darts a lot more than you have in your reading I still liked this treatment of that exotic weapon. It's a interesting detective fiction weapon that can often be exploited because of the very nature of its design and intended use. Much like the way the crossbow and its bolt are exploited by clever writers in other mysteries. You probably should skip the rest of Vahey's books as Loder (or any pen name of his) because he tends to use a variation on the trick in the end of this one over and over -- not specifically what is uncovered in the end of ...STOWE, but a trick related to that. you;d think he'd exhaust the possibilities, yet each time he employs that gimmick somehow he always manages to find a new wrinkle in what I think was his special contribution to mystery fiction. How blasphemous of you, John, to not care about fair play, but the plot is still the most important component of a detective story for me. 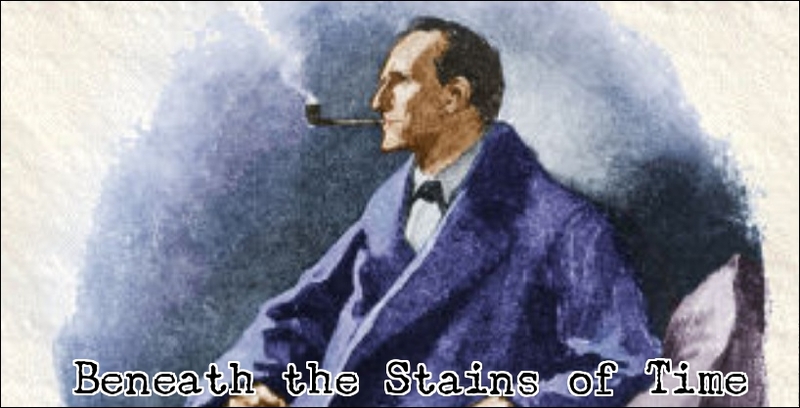 I actually have not read any of the Sherlock Holmes collections or novels since I began blogging. It's just that I tend to have a memory of an austistic idiot savant where plot-structures, tricks and twists are concerned. It's a pity Loder pretty much wrote more of the same. Oh well. I agree with you that it is the detective story plot which is the structural element which differentiates the detective story from other types of fiction. I think this is the element which has given longevity to many mystery writers who wrote prior to 1950. If you throw out the detective story plot (especially the fair play element), you are just writing another mainstream novel. It appears to me that most detective story writers who began publishing from 1960 or later are already fading away. I will be interested in seeing how many authors who wrote in the last 20 years will still be read 50 years from now. You can easily answer that question by looking at how many authors/bestsellers from the 60s, 70s, 80s or even the 90s are still being read today. Thus far, it seems writers who invested in (popular) series characters have somewhat survived, but how many of those series characters will survive the death of their author and original reading audience? I'm sure not many of them will be around for the 2060s, 2070s and 2080s.